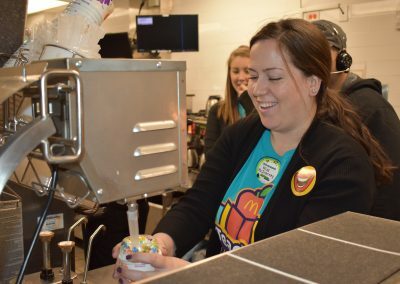 More than twenty Aldrin teachers volunteered behind the counter on Thursday, January 24, at the Hoffman Estates McDonald’s located on Roselle Road, where they served students and their families in a fundraiser for their school. 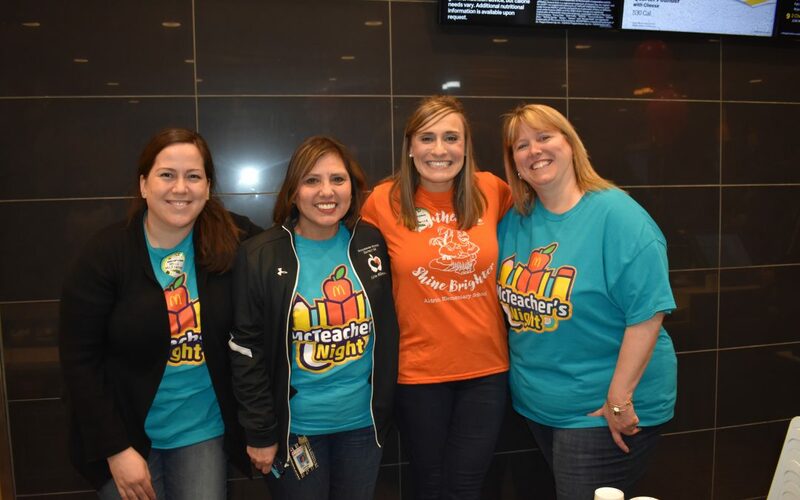 Mary Botterman, Principal, and Kari Frederick, Assistant Principal, were at the event the entire night talking with the families and delivering orders. 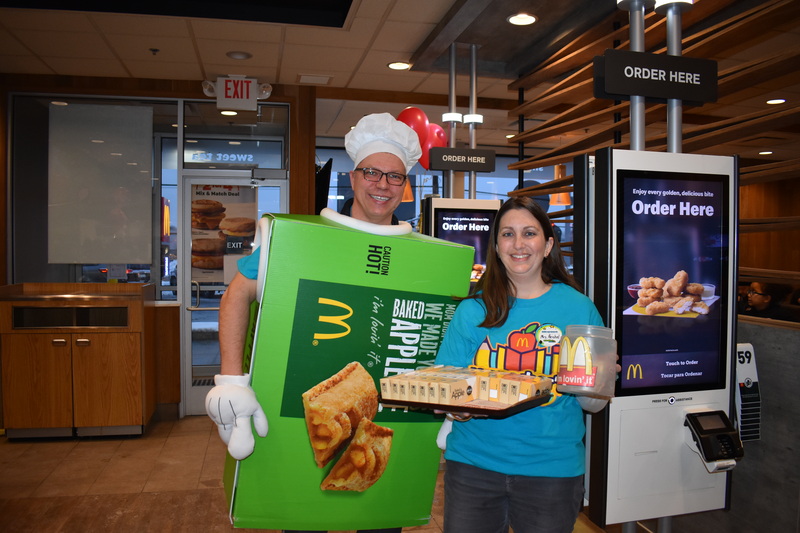 Teachers Derek Niepomik, Rebecca Weber, and Jessica Lindblade wore the apple pie box costume and greeted their students during the night. 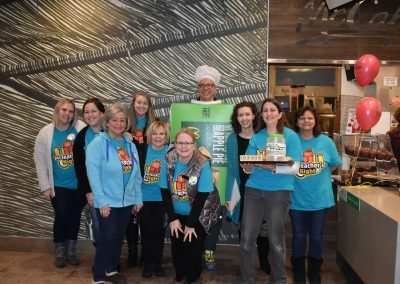 Teachers Jen Reichel and Pat Homp and many others sold the pies during the night and did a fabulous job raising funds for the Aldrin PTA. 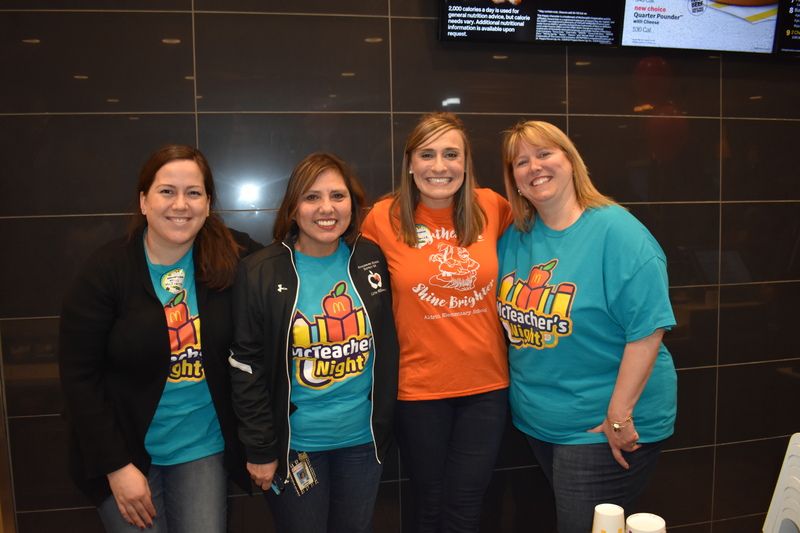 Teachers Nat Walters and Bridget McInerney worked hard making ice cream treats while Sharon Wadsworth and Denise Solmo worked at the front registers. 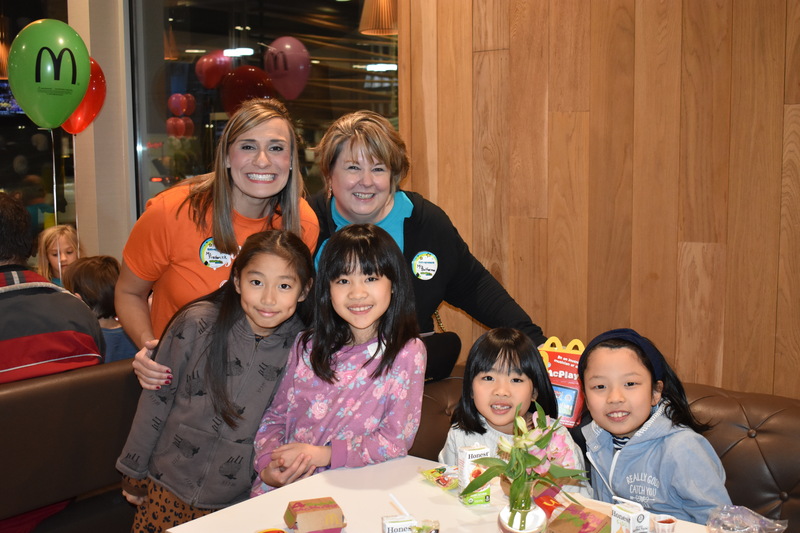 Traci Garcia from the Aldrin PTA did an outstanding job working hard throughout the night and coordinating the entire event with McDonald’s. 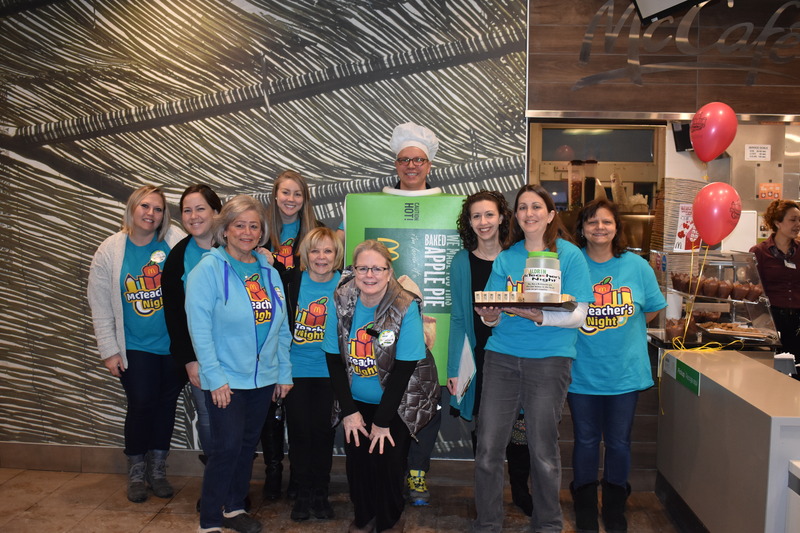 The proceeds from the sale of 220 pies went directly to benefit the PTA. 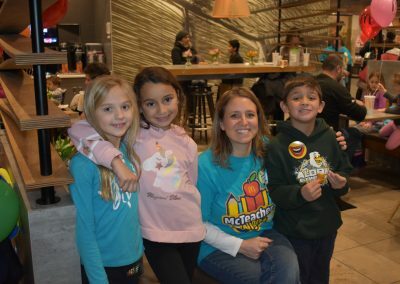 Twenty percent of the proceeds from the McTeacher’s Night sales were also donated directly to the Buzz Aldrin PTA, which plans to use the money for the benefit of all of the students, including special assemblies, a planner for every student, and to give each student a book on his or her birthday! The Aldrin Elementary community has an amazing network of support for their school, many families came out to support their school despite the freezing cold weather that evening. 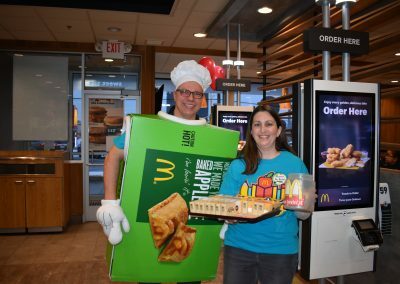 David Bear, Owner/Operator of the Hoffman Estates McDonald’s, was delighted to participate in the worthy cause for education and the community. 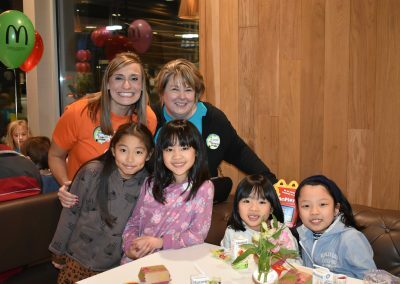 “McTeacher’s Night is part of McDonald’s larger commitment to education and other important initiatives supporting families and the local community,” Bear said. Bear donated a case of apple pies to the school for sale at the event. 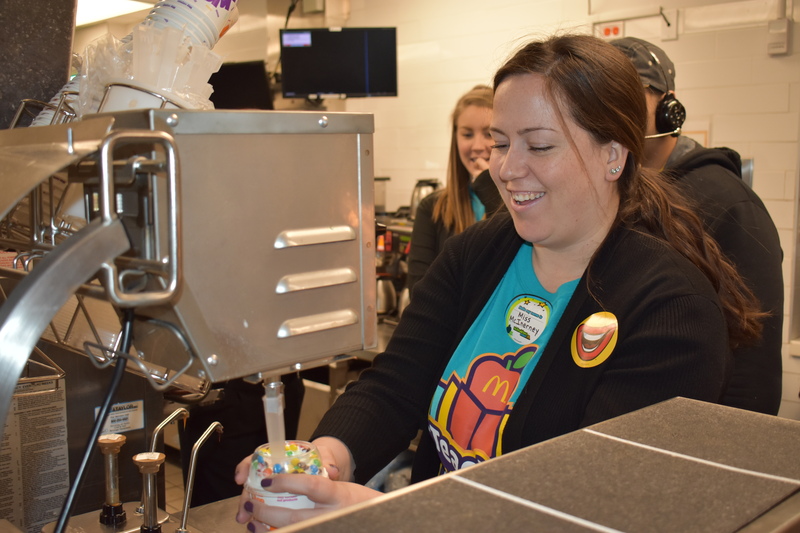 Inspired by the success of McTeacher’s Night, Bear has set his sights on partnering with other schools in the area. 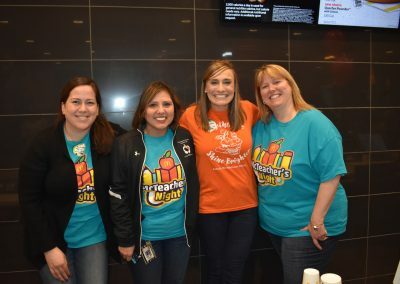 “Principal Botterman and Assistant Principal Frederick and everyone who rolled up their sleeves in support of this event are the fabric that strengthens our community,” Bear said. 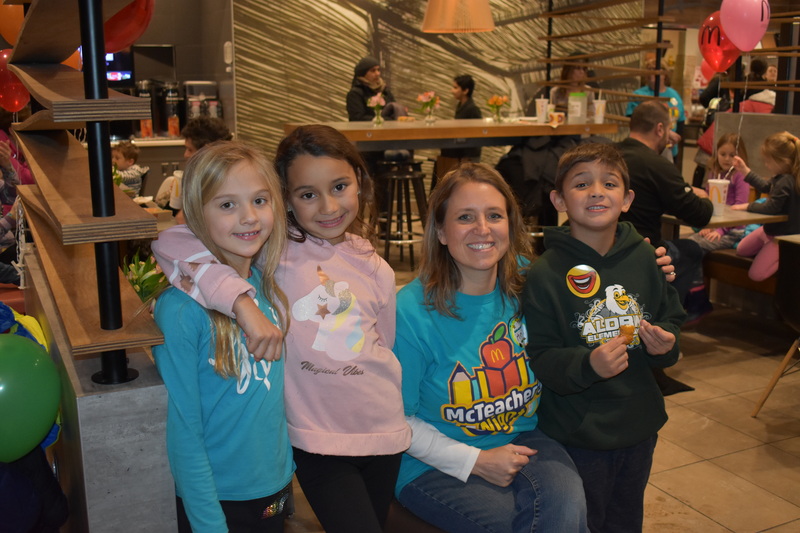 The Aldrin Elementary McTeacher’s Night was courtesy of McDonald’s the Bear Family Restaurants and Owner/Operator, David Bear. Like us on Facebook and visit our Website.